Phone us to book a free weight loss assessment, to identify any possible weight loss obstacles hindering the journey to a healthier, summer ready you. 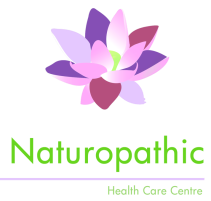 For further information on our weight loss program or costs involved, kindly contact The Naturopathic Health Care Center. Hippocrates warned us that “Death begins in the gut”. This programme begins with a gut-cleanse, aimed at healing the gut lining and associated chronic inflammation. This will ensure that your tailored weight-loss programme will result in a successful weight-loss journey. Research suggests, a link between inflammation and weight gain. To facilitate maximum weight loss, our unique program eliminates foods that may cause or exacerbate inflammation, while including foods, that are known for their anti-inflammatory properties. chronic inflammation, to name a few. We will assist you in identifying and treating these conditions as it is essential to ensure the success of your weight-loss journey.